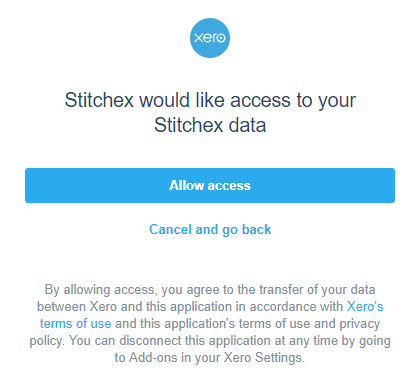 Connecting your Stitchex account to your Xero Accounting account lets you "push" invoices from Stitchex into Xero. 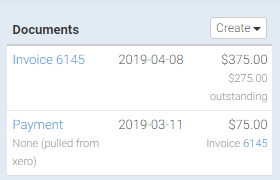 Stitchex can also periodically query Xero to add payments to your invoices based on payments already recorded in Xero. Navigate to Settings > Xero. Click the Connect to Xero button (Figure 1). You will be redirected to Xero's website. Submit your Xero login credentials if promptedd. Xero will take you back to Stitchex Xero Setup screen where you can see that your Status is "Connected". 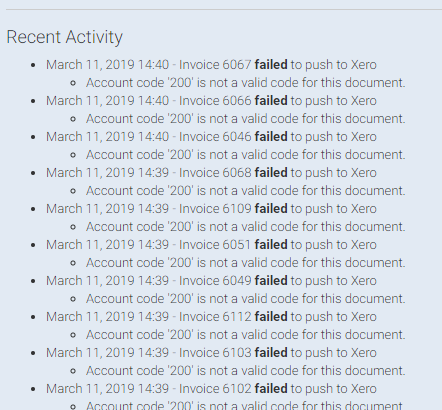 You can also see how many Invoices and Credit Notes have been "pushed" to Xero and how many Payments have been "pulled" from Xero (Figure 3). 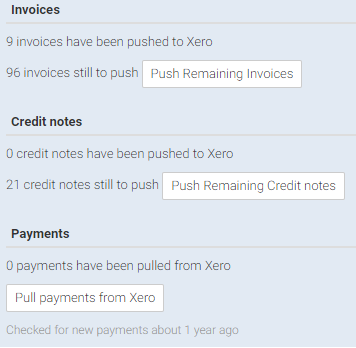 At this point, you can "push remaining" invoices/credit notes to Xero or "pull" payments from Xero. If you do not want to do this for all of them, you can open each invoice one by one and perform the action from there. 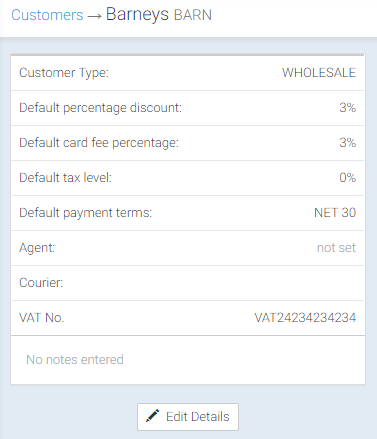 You can also override the product sales nominal account code on a customer by customer basis by editing the specific customer details. 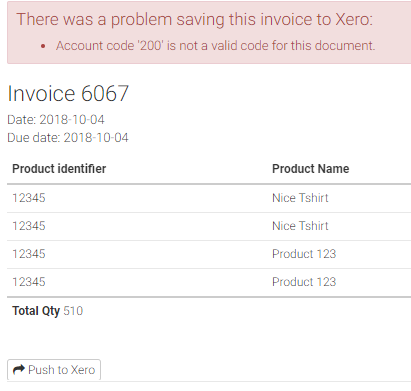 See next section on Monitoring and Error Handling for editing account codes for a specific invoice or customer. It may take a while for these to sync up with your Xero. You can monitor the status from the same Xero Integration Settings Page as shown below (Figure 5). The "Activity listing" at the bottom shows you which invoices are failing (if any). It is possible your accounting codes are not properly set for those customers. 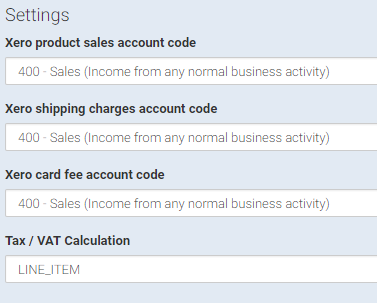 Click the drop down menu to select a different Xero product sales account code and try your Push to Xero again. Stitchex can query Xero for payment information and create matching payments within your Stitchex account. To have Stitchex request payment information for your Xero linked invoices, click the "Pull payments from Xero" button on your Xero settings page (Figure 10). Open your invoice (or Sales Order). In the top right of the screen you will see "None (pulled from xero)" with a dollar amount that was applied from Xero. This means Stitchex did not receive the payment but that it received the payment from Xero. In any event, you can see the Outstanding balance was reduced by that payment amount. (Figure 11).